hard to lift and maneuver. So he designed the Leaktite Big Gripper bucket to provide a better bucket experience. 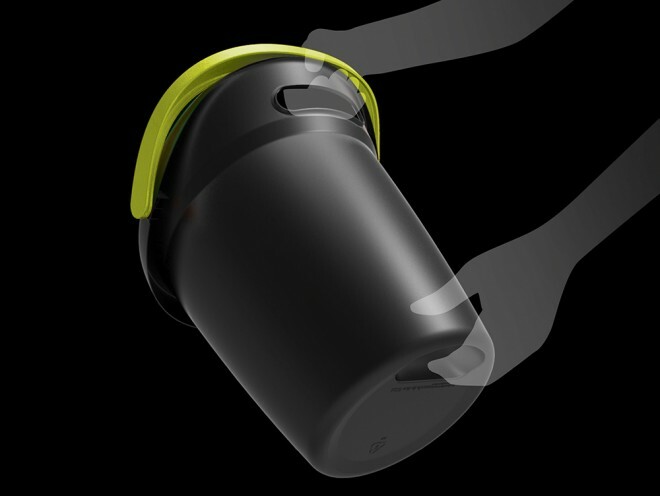 The handle has a comfortable molded grip, the lip is shaped to provide a smooth pour, and two added grip pockets make it a cinch to pick up the bucket and pour its contents. Yet, the new bucket is no more expensive to make than a traditional one. It just works better. poor at supplying and supporting connection, engagement, and community. If we want to improve these aspects of our conferences we need to redesign them. We know many ways to do this—the Conferences That Work format is just one possibility. These redesigns are no more expensive than the old ways. They just work better. Good meeting design can radically improve your conferences. It’s available now. Why not add it to your bucket list? Hat tip to Wired for the story and Brad Wilson for the bad pun. This entry was posted on Wednesday, January 1st, 2014 at 12:49 pm	and is filed under Event design. You can follow any responses to this entry through the RSS 2.0 feed.You can leave a response, or trackback from your own site.